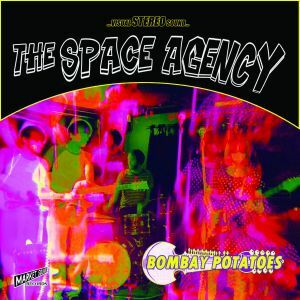 Brighton-based instrumental psych-outs THE SPACE AGENCY have a new 7″ titled Bombay Potatoes. Released by Market Square Records in the UK, the 7″ drops on August 26th and is limited to just 300 copies. These guys have released a handful of full length CD albums, all of which were released by Tremolo Records based in the UK. With that being said, this 7″ appears to be their first release pressed to vinyl and hopefully it won’t be their last. “Bombay Potatoes” starts us with a surfy introduction, followed by a hazy string of guitars. The Indian raga sounds begin to infiltrate as the track unfolds with guitars slithering in all directions. They then transform as they’re drenched by a searing fuzz crunch in the second half of the track until the inevitable fade-out. B-side “Purple Power” starts right up, followed by bouncy bass lines and swift guitars that flow together like a frantic, torrential stream. Together they make up this wonky Arabian psych sound, held together by precise drumming and plenty of colorful guitar glimmers. Listen to this preview of the 7″ below and be sure to sit tight until you can hear this in it’s entirety – you won’t be sorry! Of course, we also expect you do your part and grab the 7″ on August 26th! BUY the 7″ directly from Market Square Records – available on August 26th, limited to 300 ! 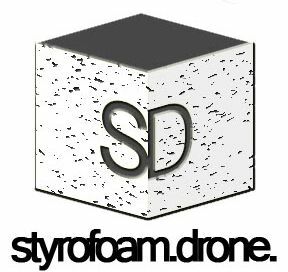 Posted on August 20, 2013 by styrofoamdronePosted in 7", ReviewsTagged garage rock, instrumental, psychedelic, space rock.